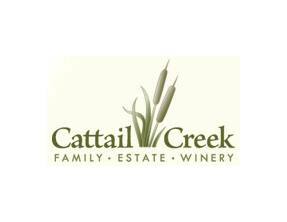 Cattail Creek began in 1957 when they planted the first grape vines in the Niagara Peninsula. The first vineyard was purchased in the region in 1971, and has continued to carry the tradition of producing top quality wine grapes in the peninsula. In 2006 the Dyck family crated the Cattail Creek Estate Winery and began to produced wines from their own vineyard. The specialty types they create are Riesling, Vidal, Merlot and Cabernet Franc, all the award-wining wines from first class Ontario Wineries. The Vineyards for Cattail Creek are located in the wine growing region of Niagara on the Lake, Ontario where most of Ontario’s award-winning wine comes from. The area is known for its wonderful soil, climate and topography. Over the years they have learned the perfect locations to get different tastes, and vintage. The Off Riesling 2006 White Wine is an Ontario Wine Award Gold Medalist and All Canadian Wine Championships Bronze Medalist.